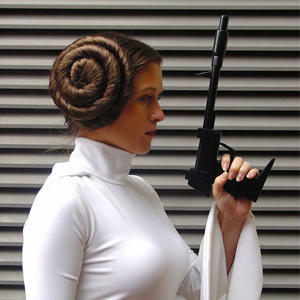 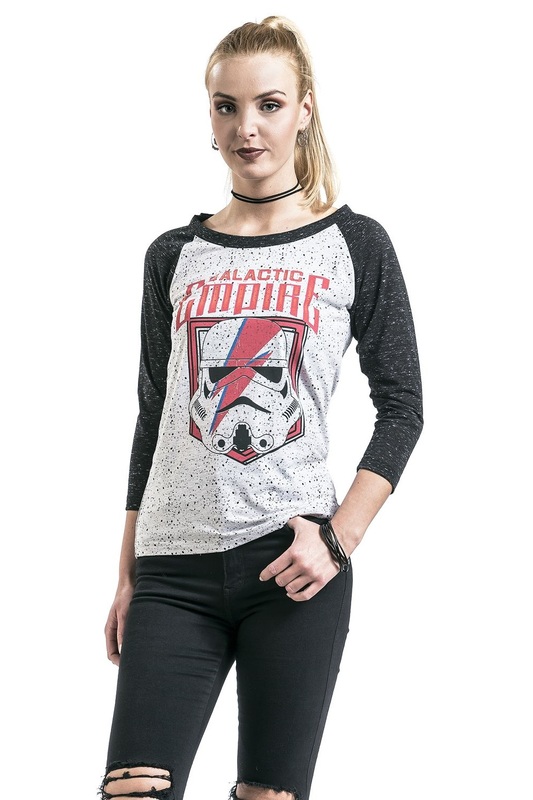 This fun women’s Star Wars Galactic Empire 3/4 sleeve tee is now available at EMP Online. 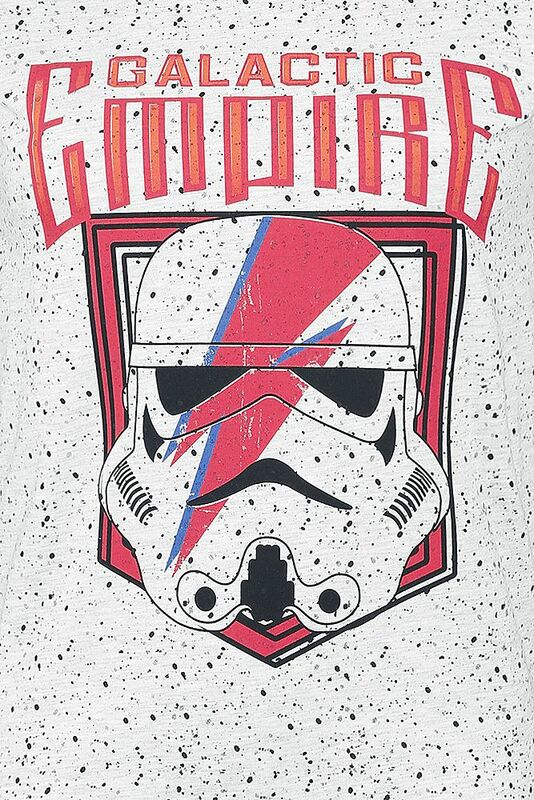 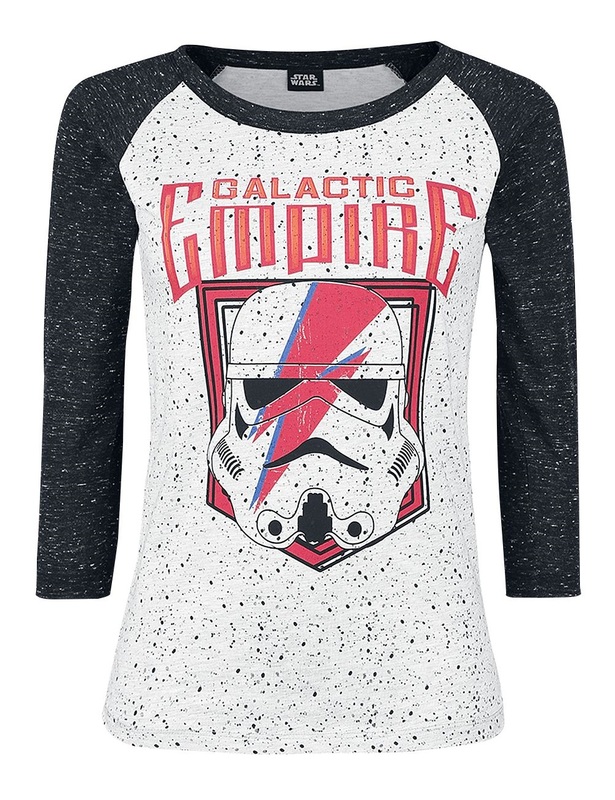 The 3/4 length sleeve tee features a front print of a Stormtrooper helmet with a red ‘lightning bolt’ design, and the text ‘Galactic Empire’. 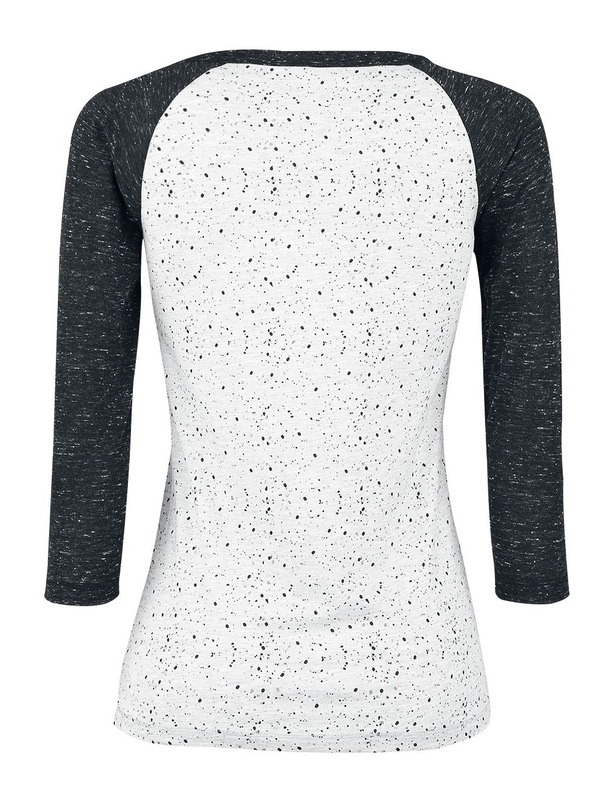 The whole tee has a spotted ‘paint splatter’ appearance, with little dots printed across the front and back, while the contrast dark grey raglan sleeves also have a mottled ‘heather’ finish. 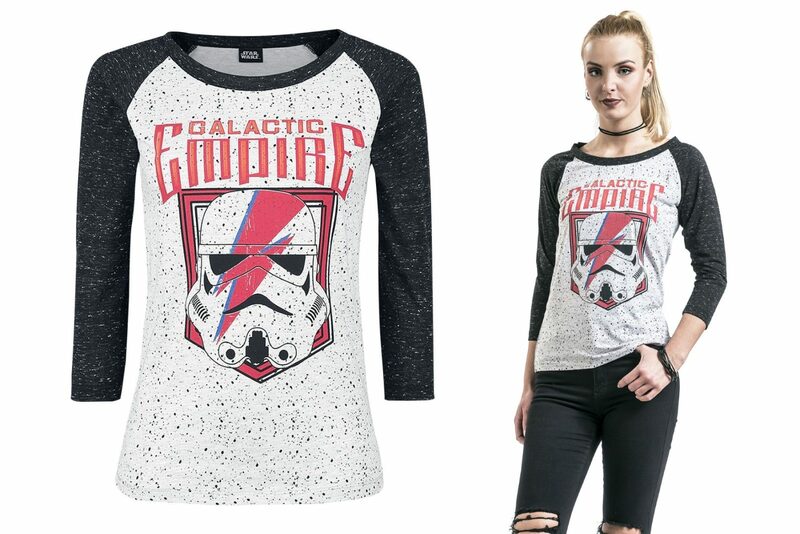 Available in sizes S to 3XL, the tee is priced at €24.99 to €29.99 each (depending on size) – EMP Online can ship internationally.